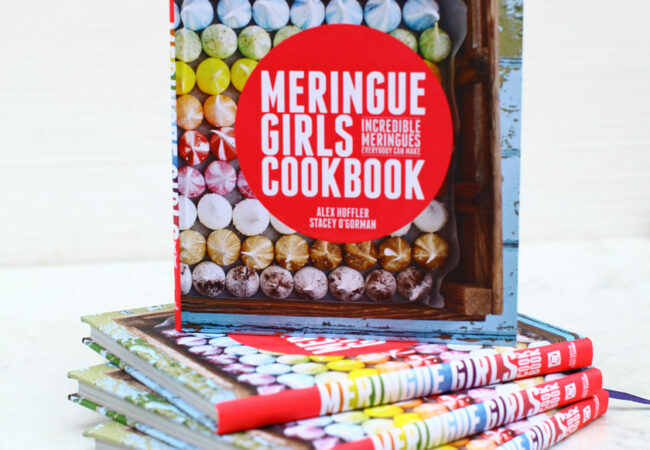 Meringue Girls Cookbook! Filled with rainbow colours and Willy Wonka flavours, our first cookbook puts a spin on classic desserts. Our simple, gluten free, melt-in-the-mouth meringue recipes are perfect for gifts and indulgent dinner parties. Perfect your technique and master bright, bold and delicious treats! This book includes all the tips and tricks to create perfect meringue kisses, and is packed full of 50 amazing meringue recipes. Add a short personalised message in the box above – the perfect gift! For international orders, email us at hello@meringuegirls.co.uk.